Thanks to undercover investigations and the work of animal advocates, the problem has reached a much wider audience and has drawn some major opposition from the public. Now, the U.S. Department of Agriculture is introducing proposed legislation that could help end the ongoing torture of Tennessee walking horses, racking horses and other gaited breeds that are tortured for nothing more than a win at a show. The abusive practices used to get the Big Lick, otherwise known as soring, include putting caustic substances on the sensitive skin around horses’ hooves at their pasterns, bulbs of their heels and coronary bands. The chemicals cause blistering, burning and irritation, which makes horses quickly lift their legs to avoid pain. Trainers often cover the treated area in plastic wrap to ensure that the substances are absorbed. Action devices, including pads or stacks, may be used on the front hooves to raise a horse’s forehand and add even more animation, but this causes unbalanced feet, among other problems. Objects can also be hidden between the pads and hoof to cause more agony. If all that doesn’t do the trick, chains may be used as another strategy to add to the pain. Some horse handlers use salicylic acid or other agents to cover any visible damage and train horses not to react to having their legs touched — part of standard inspections for entry to shows and competitions. Soring in all breeds has been banned for decades under the Horse Protection Act, or HPA, but the technique is still used by unethical trainers to achieve that high step. The practice has continued to be exposed through undercover investigations and the release of evidence in cruelty cases. Unfortunately, the HPA only protects horses at shows and during transport; it doesn’t cover what happens at home and allows for self-regulation when it comes to inspections. While animal advocates have pushed Congress to end this abuse by passing the Prevent All Soring Tactics (PAST) Act, no action has been taken. In response, supporters of the proposed legislation turned to the USDA to do something. Now the agency is stepping up with a proposed rule that includes some of the key provisions in the PAST Act. If finalized, the rule would make the USDA responsible for training, licensing and screening all inspectors. This change would effectively end the self-policing of industry insiders, in addition to banning the use of the action devices and any substances that may be applied, harmful or otherwise. 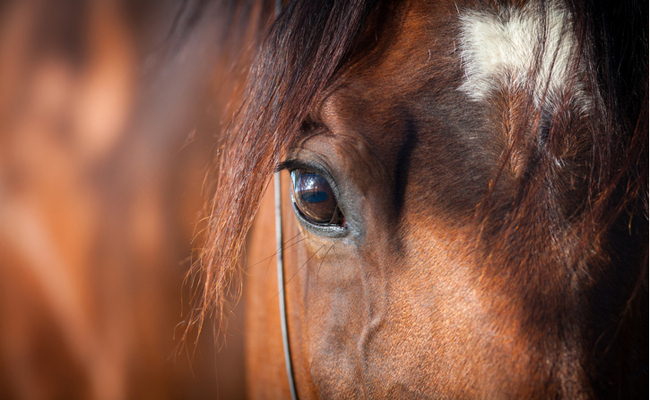 The proposed rule is now being supported by lawmakers and organizations — including the American Association of Equine Practitioners, the American Veterinary Medical Association and the Animal Welfare Institute and HSUS, among others. “While a handful of politicians doing the bidding of sorers have so far blocked passage of the PAST Act, horses are being tortured for competitions and the corrupt industry self-policing has lost all credibility. It’s time for all equestrians, animal lovers and humane-minded people across America to say enough is enough and support toughening the regulations,” said Keith Dane, senior advisor on equine protection for The HSUS. The USDA will accept public comments on the proposed rule until September 26. You can submit one in support of finalizing the rule at the Federal Register. 2 yrs. old!! Long past due date! We thought this was over. Now Trump put a moratorium on this. Doesn't he like horses? I hope this ban goes ahead! Petition signed and shared.